Finally, thunder and lightning! I thought the air pressure had changed, because I’ve had a few bad nights in a row now where I’ve woken up terrified, haunted by bad dreams of the worst kind. The cat is screwy too, and her schedule is off and now she’s madly in love with me at all the wrong hours of the night and early morning, and there is no telling her she’s wrong when she announces with claws that it’s time to wake up and play. The neighbourhood dogs are barking more, there have been car accidents outside my window, and the power’s been failing in spots all over the city. We had a full moon, which maybe means something. But anyway, there are big noises outside, and piercing light every so often, and we’re at home with a hoard of chard and the garden is getting summer storm water and all is right with the world. We planted more chard, and played in the dirt, and my cucumbers have begun to flower and are taking over everything and what are we going to do with it all when the plant bears fruit?! 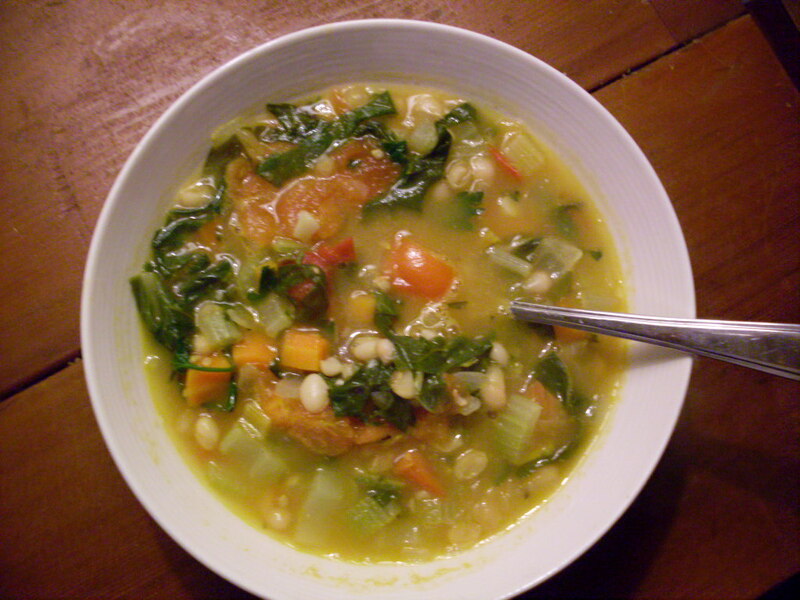 I ended up sticking a whole bunch of chard in the freezer, because there’s just so much of it right now, but the rest I chopped into soup with white beans, some fresh from the ground little carrots, celery, and red Okanagan field tomatoes. And herbs, rosemary and parsley. Did you know if you sprinkle a few tablespoons of cornmeal into a soup, it thickens it just slightly which makes the whole soup seem even heartier? Definitely more stew-like, which is excellent if you don’t have a long time to let a pot of soup boil and reduce. Anyway. This is shaping up to be a terrible garden report, and I haven’t even squealed or abused an exclamation point yet. 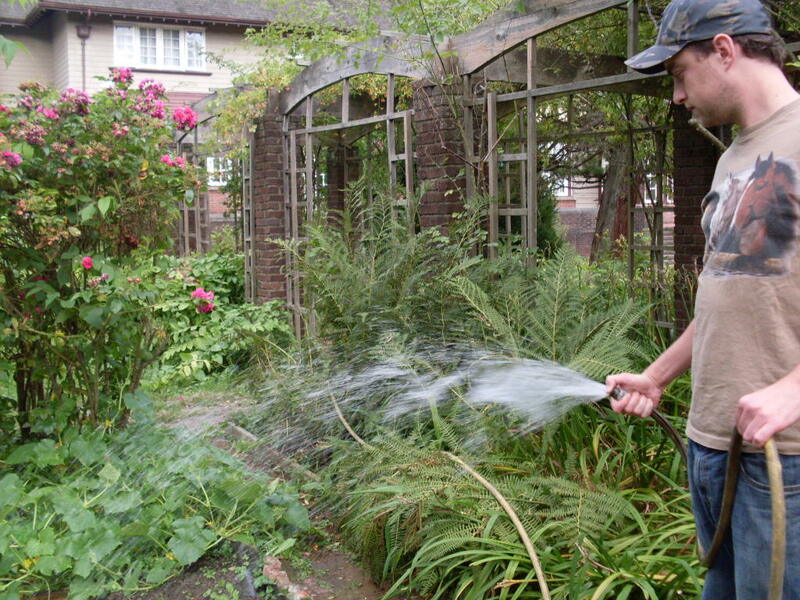 In case you were wondering, because it sort of seems that way, Nick does seem to do most of the labour-intensive garden work, while I stand around taking pictures. I had never seen a chard root before, but isn’t this cool? I don’t know why he lets me get away with all this slacking off, but I do have dirt under my fingernails and I did make the soup, so maybe it evens out in the end. So, there you go! You’re all caught up, and isn’t it exciting? Have a happy Friday! < Previous Meatless Monday: Shepherd’s Pie, sans shepherd. Next > Catching up, the 3-Day Novel, and Sushi Shelter 101. I don’t know how your weather will treat chard if you leave it in the ground, but I know my mom harvests it by just cutting the mature leaves she wants and letting it continue to sprout new ones. 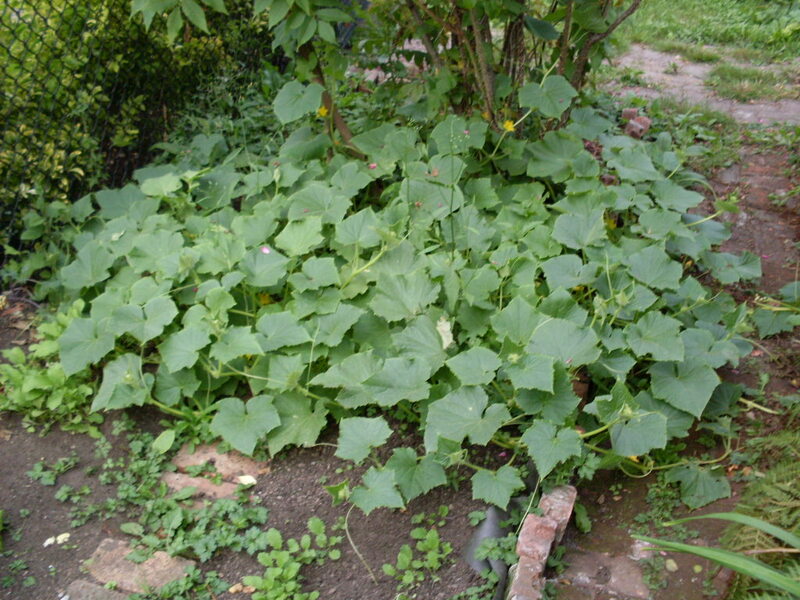 It provides her with delicious greens all summer long, without stopping its growth, that way. So I’ve never seen the roots… they keep workin’! Can there BE too many cucumbers? I disbelieve. 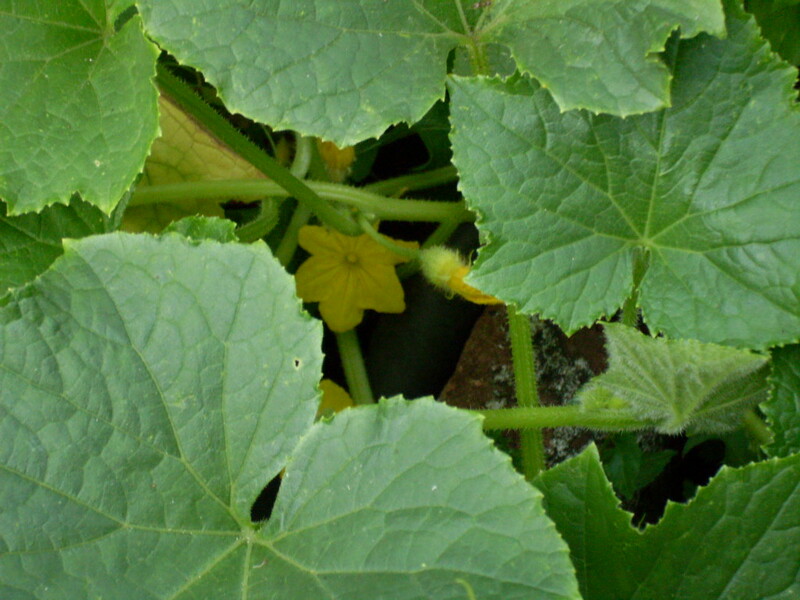 You can bring over wilted cucumber salad anytime. 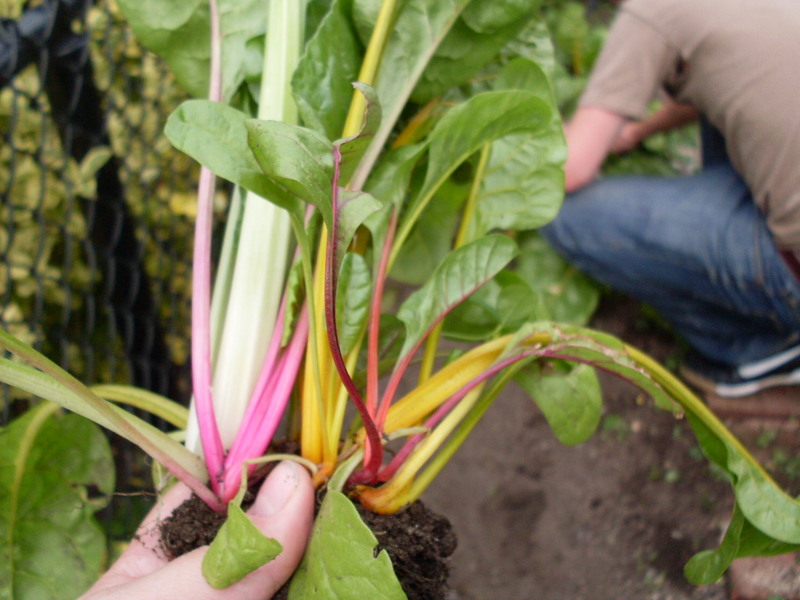 Yes, just pick the ready stalks of chard and it will keep producing. yum. Thanks all! This news about picking chard by the leaf and letting the plant regenerate would have been useful earlier on 😉 but we still have tonnes of it. Sorry about the timing! 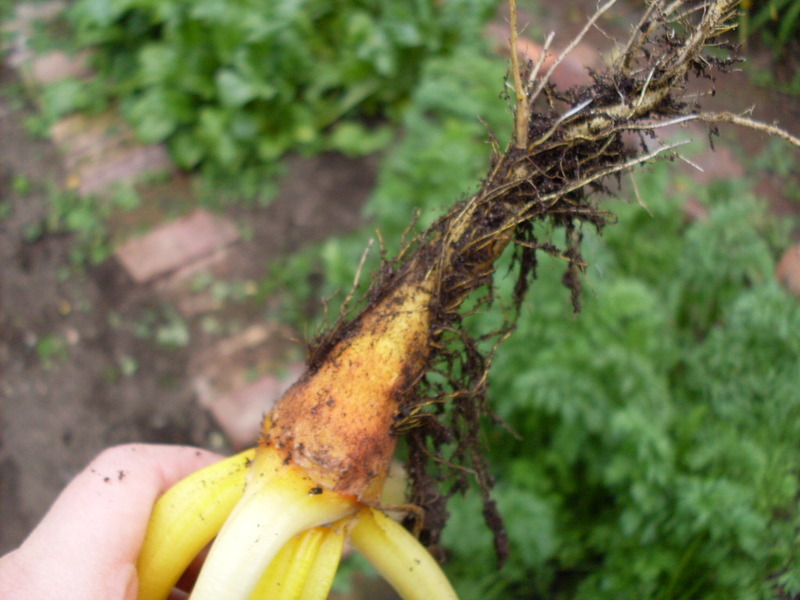 Are the chard roots edible? They look interesting. I have put cornmeal into chili to thicken it, but not other soups/stews… and why didn’t I ever think of that? Good tip! I didn’t try the roots, but I should have. I’ll let you know if we end up pulling a whole plant again and try them!